Cast & Crew Eddie Redmayne,Katherine Waterston,Etc.. FANTASTIC BEASTS: THE CRIMES OF GRINDELWALD take place a few months after the events of Fantastic Beasts and Where to Find Them left dangerous dark wizard Gellert Grindelwald (Johnny Depp) in prison and Newt Scamander (Eddie Redmayne) and Tina Goldstein (Katherine Waterston) headed in separate directions. But soon after this film begins, Grindelwald escapes and flees to Paris with a cadre of followers; they're searching for the Obscurus, Credence (Ezra Miller), who's in the City of Lights searching for his magical ancestry. 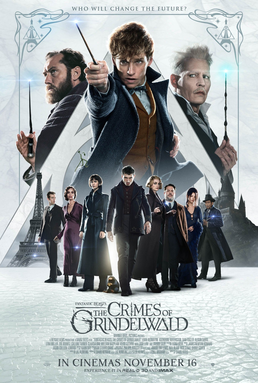 A younger Professor Dumbledore (Jude Law) convinces Newt to travel to Paris to find Credence before Grindelwald and his cronies do. But things get extra complicated for Newt when Jacob (Dan Fogler) needs to tag along to find Queenie (Alison Sudol), who's run off to find Tina (Katherine Waterston) in Paris after a fight. The French capital becomes the site of a massive wizarding battle between Grindelwald's followers and everyone who doesn't agree with him. The production values are amazing in this latest Potterverse adventure, but there are so many convoluted subplots and new characters that some wizarding favorites (creature and human) are underused. Redmayne continues to prove that he was born for this role, but Waterston's part is greatly reduced, forcing her mostly into the background until the second half. Zoe Kravitz and Callum Turner officially join the cast as Leta Lestrange, Newt's adolescent crush, and Theseus Scamander, Newt's Auror brother, respectively. But neither character feels fully developed, despite a couple of sweet flashbacks to Scamander's Hogwarts days (yes, Lestranges have apparently always been Slytherins). Nagini (Claudia Kim) is more of a sympathetic character than fans might have imagined. As is Credence, who -- as played by the gifted Miller -- is understandably hurt and desperate. And Law does his best to embody all that Potterheads know to be true about Albus Dumbledore: He's wise and generous but also withholding and somewhat tortured about his past. The movie's visuals are spectacular, and the action is thrilling -- a couple of moments are even a bit jump-worthy -- but this installment lacks some of the charm and discovery of its predecessor. Paris is a beautiful setting, but audiences will learn little about French magical ways (there's not even a mention of Beauxbatons). What they do learn is that J.K. Rowling's universe is so deep that even ardent fans may need a refresher on the threads that connect this interwar period with the details of the original Harry Potter stories. Middle installments are often difficult; here's hoping the next Fantastic Beasts films have more relationship building and character development (not to mention creatures beyond the admittedly adorable nifflers) to invest in before the inevitable climactic battle between Grindelwald and Dumbledore. Is Newt Scamander a role model? What character strengths does he display? What about the other characters? What do you think about young Professor Dumbledore? How does his personality compare to older Dumbledore? Why do you think Grindelwald's message resonates with so many? Do you think he's motivated by evil or by good? What do you think about the elements of the film that bridge this series with the rest of the Harry Potter universe, like Dumbledore's story about phoenixes or the introduction of a character referenced in Sorcerer's Stone? Not only does the movie stress the importance of knowing your family history, but it also explores the relationships of several sets of siblings. What do you know about your own family history? If you have siblings, how does your relationship compare to Newt/Thesius or Queenie/Tina? The movie faced some controversy around the casting of Johnny Depp (because of issues related to his personal life) and the cultural issues involved with Nagini's character/casting (some consider it cultural appropriation). How do you feel about these topics/questions? 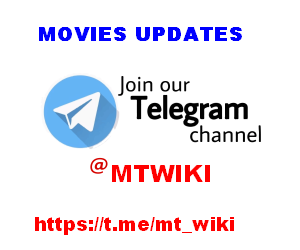 Fantastic Beasts: The Crimes of Grindelwald (2018) Full Movie Details Cast & Crew,Directed ,Box Office Collections More..